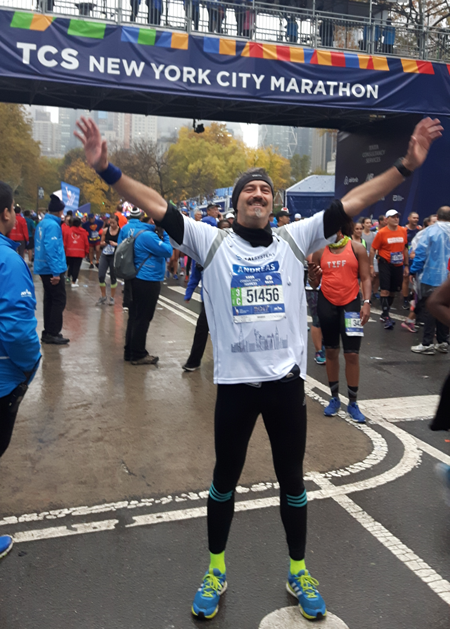 Andreas Horndasch (48), project manager for SEAL Systems, saw the fulfillment of a very special dream this November: he ran in the New York Marathon! 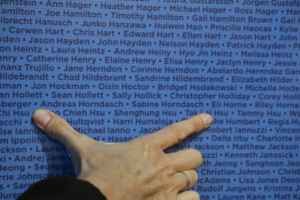 In this blog entry, he tells us all about this incredible experience. “I’ve always been very enthusiastic about sports. 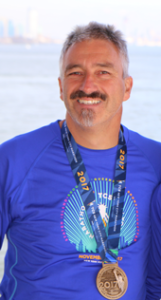 I started in triathlon 17 years ago (Olympic distance) and have done a lot of runs, even half-marathons, but running in a marathon was never really on my radar. Then last year a friend of mine said that he wanted to run in the New York Marathon, and was looking for training partners. My wife Sabine and I were immediately hooked. We trained for the marathon for about 9 months. 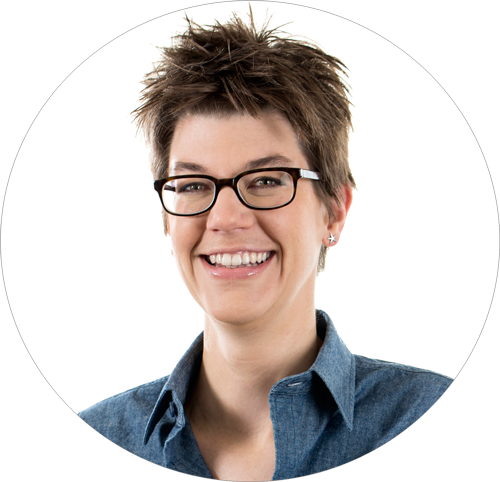 I had three training plans, but I didn’t actually stick to any of them – between work and private life, that just wasn’t possible. My goal was to accomplish two trainings each week and a long run, up to 30 kilometers, on the weekends. That was enough to make me feel steeled for a 42-kilometer run – or at least to finish and live to tell about it, unlike the legendary messenger who brought word of victory from Marathon to Athens. The New York Marathon took place on November 5th. We flew to New York a few days earlier, to get acclimated to the time zone and work through the jet lag. I was pretty excited, as I was about to take part in the biggest running event in the world, and in such a great city at that! We picked up our starting numbers a few days before the race, and that alone was a major event. The number distribution was connected with a gigantic sports trade fair, where we were given everything from functional sports apparel to power bars. We were quite impressed. The night before the race we attended the New York City Marathon Eve Dinner for some “carbo loading,” and then we were ready! We got up at 5 the next morning, had a big breakfast, and took the ferry to Staten Island, where the Marathon was set to begin on the enormous Verrazano Bridge. It was a madhouse – there were 50,766 participants this year! It was 13° C with an intermittent drizzle – for me it was the perfect weather for running, as one doesn’t get so easily overheated at this temperature. After the start I went slowly at first; the first mile on the bridge being all uphill. Later I ran at a relatively constant 11 minutes per mile. 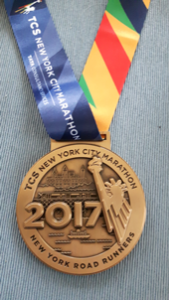 I was able to continue like that without problems through the five boroughs (Staten Island, Brooklyn, Queens, Bronx and Manhattan); it wasn’t until kilometer 35, as the route entered Central Park, that it started to get difficult. But quitting was never an option! Moreover, I definitely wanted to cross the finish line in my SEAL Systems shirt with the advertising about our paperless production, and I didn’t want to disappoint the many friends and colleagues who were following us through the tracker at home. Long runs like this are always a mental thing. I felt sure about relying on my training. And the good atmosphere, all the cheering people lining the streets and being in New York all help to keep one from getting overpowered by exhaustion. I finally crossed the finish line with a time of 4:50. That was a thrilling moment! I was incredibly happy that I finished the marathon, that the moment had arrived, and that all that training had been worth it. What a great feeling!